Many people think that trusts are simple—this is misleading. Besides the Florida requirements for a valid trust the Internal Revenue Code provisions on trusts indicate that descriptions that trusts are simple are misleading. Consideration is not longer a requirement to create a trust in Florida. Consideration is not longer a requirement to create a trust in Florida. In addition there are many other terms that are used in discussions about trusts. One of the major issues that needs to be considered when creating a trust is the legal capacity of the settlor. This topic is covered in more detail on the Legal Capacity of the Settlor webpage of our site. In Florida express trusts, they are created by a written instrument or by an oral agreement. In implied trusts, they are constructive or resulting trusts implied by law. A conveyance must contain essentials of a trust and there must be intent to create the trust. The subject matter, purpose, and terms of the trust must be definitely set forth for a trust to be created. The trust must have property subject to its terms. At the time of conveyance, it is not necessary for the parties to the trust actually know what the subject matter is. A trust can be created without notice to the trustee or without acceptance by the trustee. It is effective to pass the title to the intended trustee when there is delivery to a third person. A Florida trust can be created by a valid will in Florida. 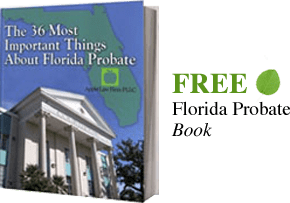 As of mid 2007, a Florida Trusts must comply with the Florida statute of wills that prescribes the technical requirements for a valid will/trust in Florida. In addition, the basic legal requirements of intent of the testator, lawful subject matters, and parties with legal capacity must be present. The settler must intend to establish a trust and this intent must be manifested. In the past, putting a name of a person, as a trustee in a will or on an account would not by itself be sufficient to establish a trust. There is some recent case law that seem to indicate that this form of totem trust is ok. In a trust, there is a division of ownership between the equitable title (who receives the benefit of the items) in the beneficiary and legal title (who owns or manages the item for the beneficiary) in the trustee. When both the legal and equitable title are vested in the same person, then there is no trust. A settler of a trust can be a beneficiary or a trustee, but the settler cannot be both the sole trustee and sole beneficiary or there would be no separation of the legal and equitable tile. A promise to establish a trust in the future is only enforceable is there is consideration.